I was the 63,901st person to sign it. If you haven’t already, do it. It’s the earliest Orthodox Christian writing we have that is not contained in the New Testament. It was written around AD 60, which means it actually predates much, if not most, of the writings contained in the New Testament. Also because of its very early date, the Didache is a powerful witness to the early Church — the earliest Church in fact; the Church of the Apostolic Age — and is a powerful piece of evidence that the Faith of the Orthodox Church today is the exact same as that of Christians of those times. The Didache has been known in an extended Ethiopic version, called the Didascalia for a very long time — it’s actually part of the extended New Testament canon of the Ethiopian Orthodox Church. It was discovered in its Greek original, though, in 1873, in the library of an Orthodox monastery by the Orthodox Metropolitan of Nicomedia Philotheos Bryennios. The Didache (Greek, meaning “teaching”) is a church order manual. Some of the early Fathers considered it Scriptural, but it was eventually excluded from the New Testament largely because it was unnecessary to include a manual of church order in Sacred Writ. So let’s look at the Faith as it was believed and lived by the early Christians who lived even before Scripture, and compare it on a few points with the Faith of the Orthodox Church today. The early Christian practices of Baptism via triple immersion and fasting before Baptism are still preserved in the Orthodox Church today. The early Christian practice of fasting on Wednesdays and Fridays is still preserved in the Orthodox Church today. The early Christian practice of closed Communion (that is, Communion only for Baptized members of the Church) is still preserved in the Orthodox Church today. As you can see, the Didache preserves for us a record of how the earliest Christians lived, Christians who lived even before the writings of the New Testament were put to pen and paper. Sola Scriptura would have been completely impossible for them — and yet they were a thriving Christian community and one whose Faith is still preserved and observed in the Holy Tradition of the Orthodox Church today, even in small details like triple immersion Baptism and fasting on Fridays. 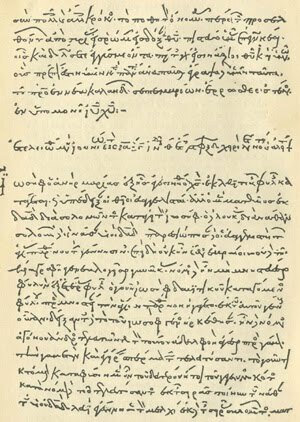 The community which produced the Didache was Apostolic in the most literal sense of the word and this document is a demonstration of the Apostolic nature of the Orthodox Church’s Holy Traditions — Traditions which may not be explicitly laid out in Scripture, in some cases, but which in many instances pre-date Scripture! If you’d like to read the Didache for yourself and make your own comparisons with the various Christian groups today, you can check it out here. Taking a break from my videos on the Council of Nicaea, this is a video of my beautiful baby daughter’s Baptism and Chrismation. Genevieve Sophia Withun was born on September 22, 2009, and Baptized and Chrismated on November 1, 2009, at St. John the Forerunner Antiochian Orthodox Church in Cedar Park. I’m the well-dressed, strikingly handsome, bespectacled fellow in the front with the candle. My wife, Macrina-Sophia Vanessa, is the short woman with the candle to my left. And my son, Isaiah, is the naughty little boy at our feet in the front. So, the question I’m going to examine in a new project is did they? My plan is to go chronologically, from earliest to latest (I haven’t decided on a stopping point yet but it will probably be somewhere around the year 500). I will examine one Father at a time, presenting quotes relevent to that Father’s position on Tradition, Scripture, and where authority lies in the Christian Church. I will also present the proof-texts from the writings of the Fathers most commonly used by Protestant apologists like James White and William Webster in their attempts to show that the Fathers believed in Sola Scriptura, looking at each in its historical and textual context. What I’m going to attempt not to do is just do the inverse of what Protestants do; I’m not going to simply proof-text and quote mine for sentences which support Tradition, although we will look at those in the process. What I’m going to try to do here is to actually look at that individual, their life and writings as a whole, and really, finally answer the question: did he believe in the authority of Scripture alone? The usual followup claim of a Protestant who presents these proof-texts and then is shown that this same Father elsewhere writes of the authority of the Church’s Traditions and Councils is that this Father was inconsistent in what he taught. So, we’ll also examine that question as we look at the context of the Protestant proof-texts: is this Father being inconsistent or is the Protestant simply misunderstanding (or intentionally twisting!) the Father’s words to make him sound inconsistent. This will be a lot of work for me, but I think it’s worth it for finally putting this myth to rest, and it will be very interesting. My hypothesis: we won’t find a single one of the Fathers who held to Sola Scriptura or anything even remotely resembling it. Medieval Muslims were reluctant to travel to infidel lands. 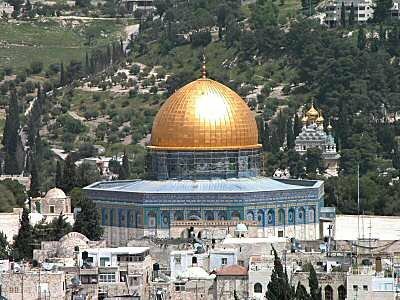 According to Islamic jurists Muslims should not stay for too long in the lands of non-Muslims if they cannot live a proper Muslim life there. Muslims had little knowledge of or interest in any Western languages. Only Italian had some currency for commercial purposes, but mainly involving Jews and Eastern Christians, especially Greeks and Armenians. Few Muslims knew any non-Muslim languages well, the knowledge of which was considered unnecessary or even suspect. H/T: Abu Daoud at Islam and Christianity. Originally from: The Brussels Journal. 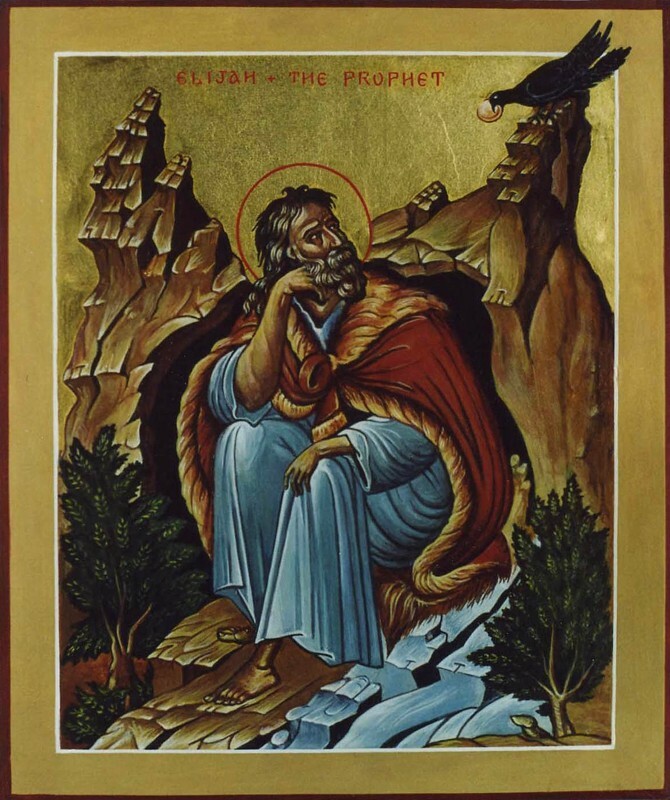 The Biblical account of the Prophet Elijah and the three-and-a-half year drought (1 Kings 17) nowhere mentions that Elijah actually prayed for the drought; the account begins with Elijah announcing the prophecy to King Ahab. There is no known written source for St. James’ claim that the drought was in answer to Elijah’s prayers, but Jewish oral tradition does uphold Elijah as the ideal “man of prayer” whose prayers were always answered because of their fervency and purity. St. James uses this sole example to exhort his readers to prayer and extol the effectiveness of fervent prayer. St. Jude draws upon 1 Enoch again here; this time, though, is an even stronger reference, as he mentions (and attributes the quote to) the Prophet Enoch by name and then goes on to offer a word-for-word quote from 1 Enoch. This verse forces the Sola Scripurist into a catch-22 position. 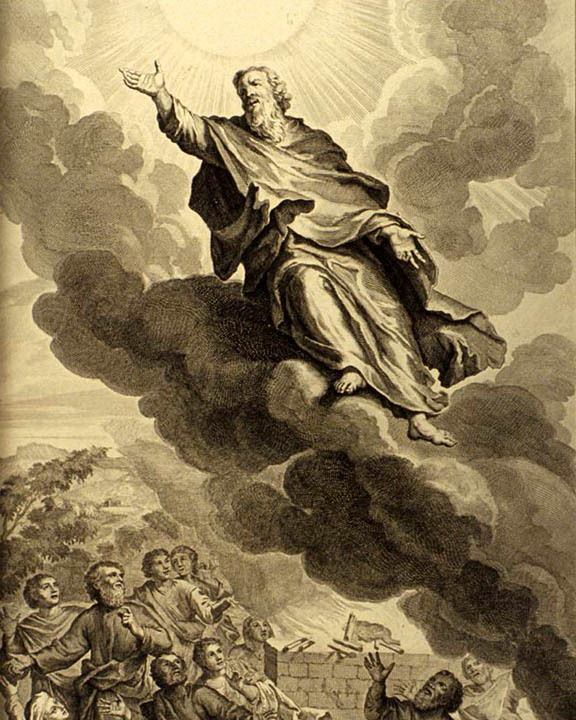 St. Jude clearly believes that this verse comes from none other than “Enoch, the seventh from Adam,” himself, however, we know that 1 Enoch was written no earlier than about 300 BC, well after the lifetime of the historical Enoch, and so, obviously, could not have been written by Enoch. There’s only two possible options that remain, either 1. St. Jude mistakenly believed that Enoch was the author of 1 Enoch and passed on this erroneous belief in this letter (which position conflicts with Sola Scriptura, as Sola Scriptura relies on a belief in absolute Biblical inerrancy), or 2. this verse (and others from the same book?) is part of a millennia-old oral tradition passed down from the Prophet Enoch but not written down until about 300 BC. Both options are incompatible with Sola Scriptura, but they’re the only options we have. Either St. Jude was mistaken and the Bible lacks the absolutist version of inerrancy which Sola Scripturists must hold or St. Jude was drawing on a several thousand-year-old oral tradition, which means St. Jude was no Sola Scripturist and endorses the remarkable reliability of oral tradition. And, if they were willing to admit that this prophecy was passed down accurately via oral tradition from Enoch, they must also answer the question of why 1 Enoch is not part of their Old Testament. They could assert the case that only this single verse was a real prophecy of Enoch, but the obvious problems with this are that the entire book claims to be from Enoch and that St. Jude clearly believes it is; as we’ve seen, this quotation isn’t the only time he cites this book. In the end, there’s a lot of hard questions for Protestants to answer that are raised by this verse from St. Jude’s letter. If St. Jude’s quote here were the only extra-biblical quote we had in Scripture (and it’s not, clearly), it would still be enough itself to refute Sola Scriptura completely. I’d provide examples for comparison, but 1 Enoch is, in fact, the only “Old Testament” book that St. Jude quotes.